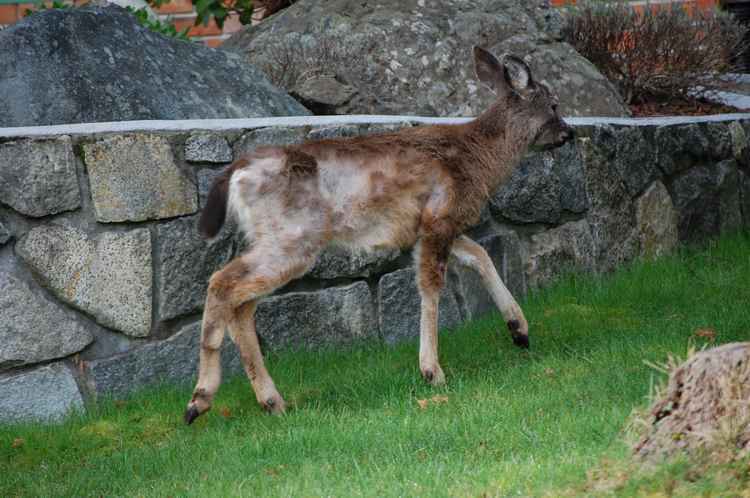 The local daily reports that Nanaimo residents feeding deer high-calorie food may be doing more harm than good. A conservation officer says that people feeding deer in urban areas tends to magnify the problems deer are already facing. A provincial wildlife veterinarian explained that our mild climate results in deer born late in the season when food is scarce making it difficult for the fawns to get the right nutrition. Ticks and other parasites have the effect of adding to the general poor health of young deer. When these deer are fed high-calorie foods it can result in diarrhea, weight loss, emaciation and death. Editor's comment: Usually when men interfere with the natural order of things, we make a mess of it. This could just be another example. Build It And They Will Come?? Is Canadian Prosperity An Illusion? Smoke Alarm Rules Expanded In B. C.
Have You Seen This Bin-Art? Some Liberals Going Too Far?? Cruise Ship Terminal In Jeopardy?